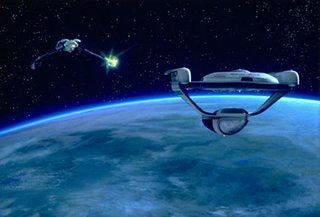 In Star Trek, the vast majority of Starfleet vessels (and prior warp-capable Earth vessels) are equipped with two warp nacelles. 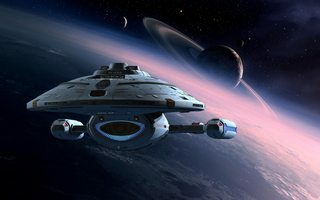 Why are two nacelles optimal? If two are better than one, then why are three not better than two? For answering, I'd like to stay in-universe wherever possible. This is discussed in the Star Trek TNG Technical Manual (considered a canon source of info about the Star Trek universe). Second, a pair of nacelles is employed to create two balanced, interacting fields for vehicle maneuvers. In 2269, experimental work with single nacelles and more than two nacelles yielded quick confirmation that two was the optimum number for power generation and vehicle control. Spacecraft maneuvers are performed by introducing controlled timing differences in each set of warp coils, thereby modifying the total warp field geometry and resultant ship heading. Yaw motions (XZ plane) are most easily controlled in this manner. During Saucer Module separation and independent operation of the Battle Section, interactive warp field controller software adjusts the field geometry to fit the altered spacecraft shape. 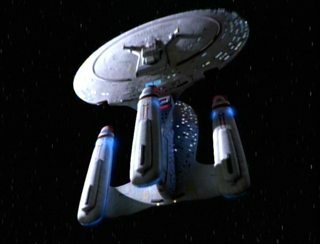 In the event of accidental loss of one or both nacelles, the starship would linearly dissociate, due to the fact that different parts of the structure would be traveling at different warp factors. 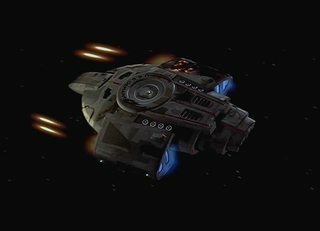 Obviously we do see ships with multi-nacelle designs so this isn't a 'hard and fast' rule, but it does offer an in-universe glimpse at the rationale behind why we see this configuration so very often in both human and alien ships. Probert: Gene specified to me, in fact, that starship warp engines operate in pairs... only in pairs because they're codependent. If you had one warp engine, you'd probably go in a circle, I don't know... (laughs) So in the same breath he negated the three-engined dreadnoughts along with the single-engined destroyers, on the edict simply that, to achieve warp drive, you had to have codependent warp engine pairs. As far as the line-of-sight requirement, that was my edict, that, in order to be codependent, the warp engines had to "see" each other, totally. I'm taking about the power combs, not necessarily the Bussard collectors but the bulk of those combs have an energy path between them. And then for other starships, just like in World War II, where all the nations had fighter aircraft that all looked different -- you know, a cultural distinction between, say, a German aircraft and an American aircraft or a Japanese aircraft -- they all operated in the same way having the same basic components of wings, body, and engine, so I applied that thinking to the alien ships I designed as well, so the Ferengi ships, and Romulan Warbirds, have twin warp engines that have to see each other in order to operate. Even my shuttlecraft having a very shallow clearance, still see each other. That's why designs like the Romulan scout ship, where the engines cannot see each other, aren't consistent. 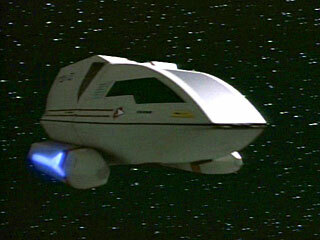 There are also some cool Starfleet designs like the Nebula Class ships, but their warp engines cannot see each other. Even those runabouts ignore that ruling which messes up the continuity. Science fiction in particular NEEDS to be consistent. If you negate that,...it all falls apart. h/t to @HorusKol for reminding me about this site. 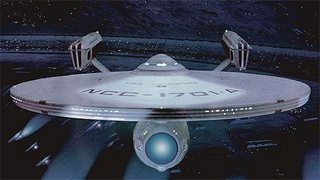 The first ship we see with an odd number of nacelles is the Niagara-class wreck at Wolf-259 http://www.trekplace.com/article15.html (although, the most famous is the Enterprise in the future timeline from the TNG episode "All Good Things..."). This is because of an old production design directive that ships had to have two nacelles - with an in-universe reason involving warp fields and so on. 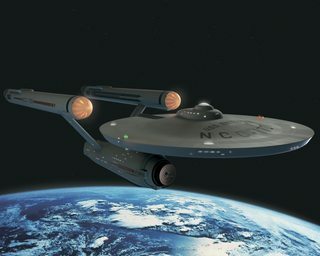 http://www.ex-astris-scientia.org/articles/design.htm (although, apparently, some ships with two nacelles could warp with only one nacelle being operational). 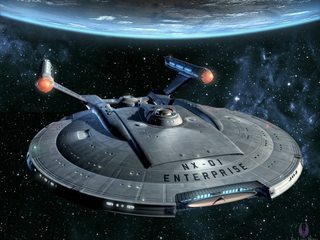 So, how do we explain the Kelvin and the alternate-future Enterprise? 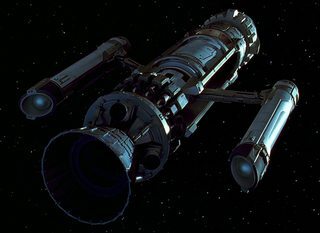 Apparently, the Kelvin's single nacelle held two parallel warp field generators (annoyingly - I've seen this referenced somewhere on the internet, but can't find the reference to link to). 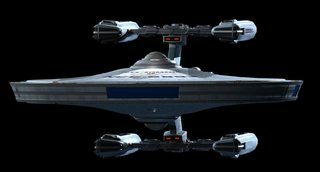 The most common configuration of starships are dual-nacelled (even alien species follow this convention [Klingon and Romulan and Dominion being the most obvious]) - but there are other configurations. In the end, it comes down to engineering - two nacelle configurations must fit some optimal design providing efficient and reliable warp travel without too much engineering. The dominance of twin nacelle designs makes sense from an engineering perspective when you consider aircraft design. IRL, trijets (jets with 3 engines) became really popular during the 70s and 80s because of their superior safety margin and FAA flight range rules that gave trijets more leeway than twin engine designs. Because of this, by 1980, trijets became the standard configuration for airliners, and they were considered the cutting edge designs of the time. Well, having three engines provides more redundancy and can enable greater performance than twinjets, but this comes at the cost of design complexity and cost/fuel efficiency. Newer ETOPS (Extended-range Twin-engine Operational Performance Standards) rules lobbied by Airbus and Boeing enable twinjets to fly the same distance/duration as trijets. This change came partly because of improved twin-engine safety since the FAA introduced the 60-minute rule for twin-engine aircraft. When the rule had been conceived, most aircraft were propellor- and piston-engine-based. When jet engines came along, they provided much greater thrust and reliability, which have both steadily improved over time. Twinjets can be mounted symmetrically on each wing. Trijets require a third engine to be mounted along the central axis, which increases the complexity/cost of the intake duct design and engine mountings. A jet can really only mount the third engine on the tail, which typically requires a T-tail design. The T-tail has some advantages, such as better pitch control and glide ratios. However, they're also much more expensive to build and maintain (due to greater design complexity, stronger/heavier materials needed because of the higher forces generated by the tailplane and greater difficulty repairing/replacing the third engine because of its high placement) and are prone to deep-stalls. But the greatest disadvantage is the fuel efficiency and thus operating cost of trijets. Generally, it's much more efficient to run a single large jet engine than multiple smaller jet engines with the same combined thrust (in general, larger turbines are more efficient than smaller ones). So if you can get an adequate level of reliability and performance out of two engines, it's much preferable to adding a third one. And since turbine engines have gotten ever more reliable and powerful, trijet designs have understandably fallen out of favor. So based on real-life experience, it makes sense that twin nacelle designs are more popular than other configurations. It likely provides just enough redundancy and warp capacity while balancing against production/operating/maintenance efficiency. I recall reading an in-universe story, in which it was explained that: In the early days of warp travel, some ships were built with three nacelles because the mathematics of warp propulsion suggested that such configurations would have better performance - BUT in practice these ships never performed as well as theory suggested, indeed they were nearly on par with two nacelle designs, so designs with three nacelles were quietly abandoned. Presumably later the theory improved to the point of explaining why these older designs failed and how to do three-or-more nacelles right. 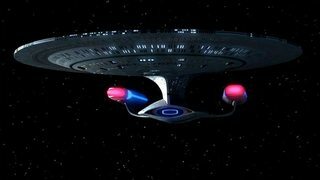 Having more nacelles does not necessarily increase the forward reach of the warp field. So no real advantage. 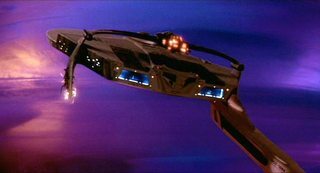 But a small quad cell design could create an exceptionally maneuverable warp drive fighter craft. Consider the field shapes obtainable with timing and frequency shifts. Consider the effectiveness of harriers in using their vectored thrust for improving their maneuverability. Not the answer you're looking for? Browse other questions tagged star-trek star-trek-tng star-trek-2009 warp or ask your own question. Why was the Defiant so small? Do we ever see what an engine room looks like without its warp core? 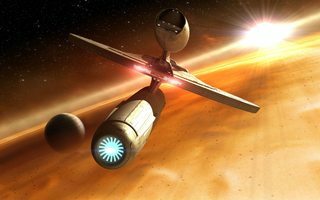 Why are Voyagers warp nacelles foldable?